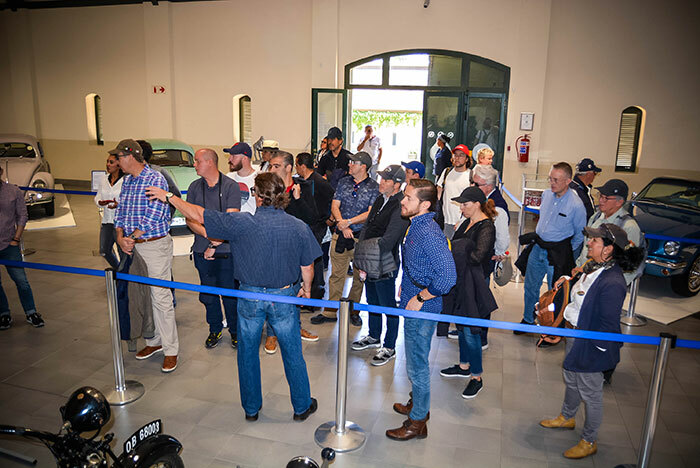 Maintaining FMM’s international standing as a ‘must visit’ venue, a party of individuals from BMW Mexico recently visited the museum. Having spent a couple of days at the BMW plant in Rosslyn, Gauteng, the group moved to Cape Town during which they spent a day at L’Ormarins. The morning was spent enjoying a wine tasting at Terra del Capo on the estate before moving to FMM’s PlaasPad test facility where drivers from the BMW Academy took individuals around the circuit in a variety of mainly BMW M cars. The party was then given a full guided tour of the museum by curator Wayne Harley, who remarked on the enthusiasm for the displays shown by everyone in the group. Credits| Disclaimer | Copyright © 2017 Franschhoek Motor Museum. All Rights Reserved.